So what about the mockumentary stuff? View Talk Selection As Mockumentary Film Editing. One of the best, and also worst, parts of organizing a conference is selecting the talks. You likely receive submissions on an order of magnitude greater than the speaking slots you have. And most of them are super great! How do you pick the ones that tell the story you want? 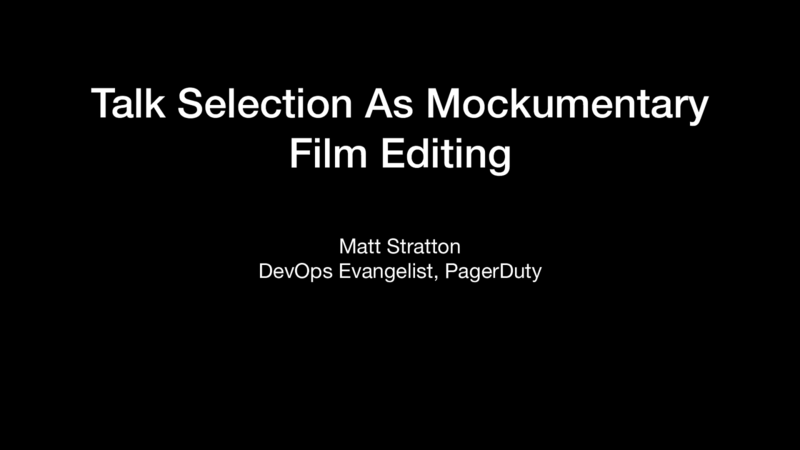 In this talk, I’ll explain how the methods used by “mockumentary” filmmakers like Christopher Guest (Best in Show, Waiting For Guffman) can be used to help “find” the story in your talk submissions. This ignite also includes a “real-world” example from the speaker’s experience in making a mockumentary about swing dancing.